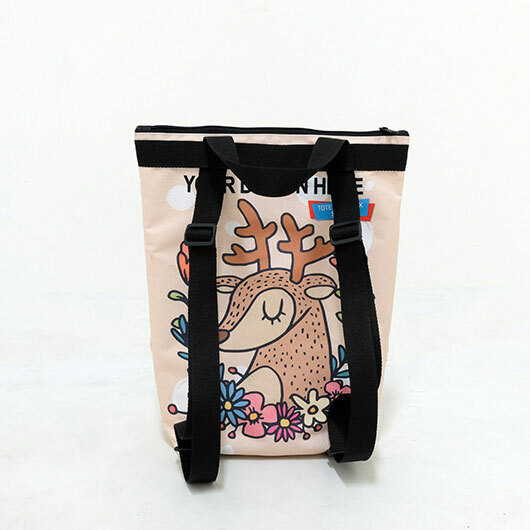 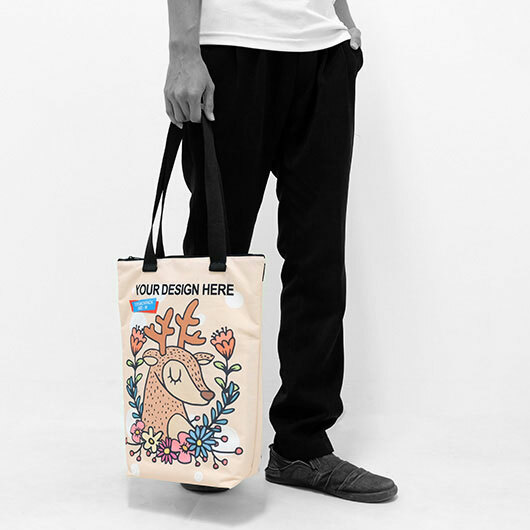 Tote bag has taken its own crown as one of the most used bags in this era. 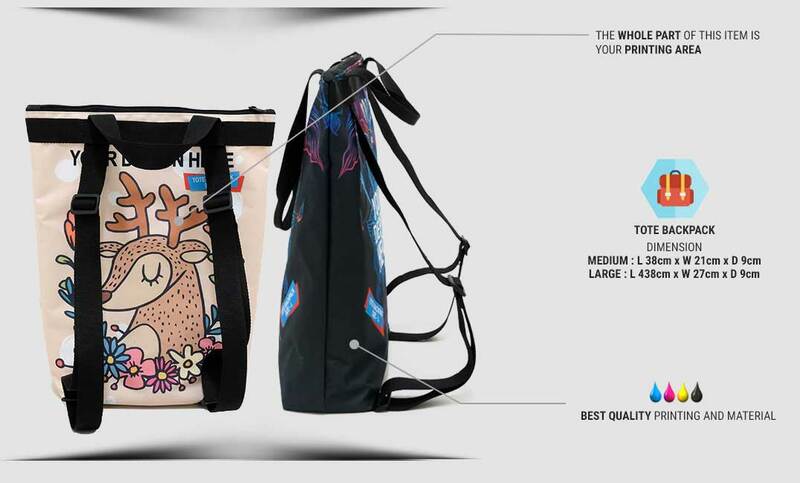 The practical use, simple design, and lightweight mass are the most important things the bag has. 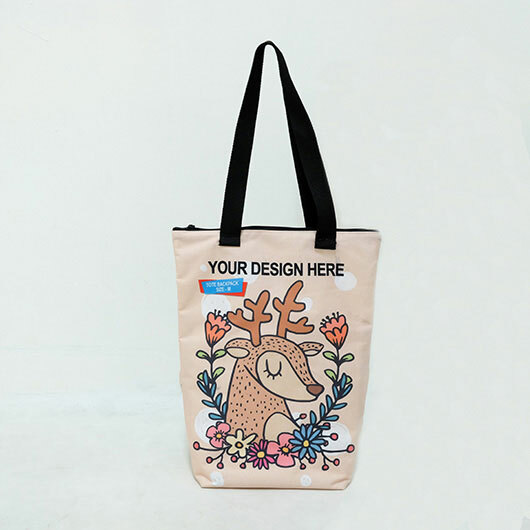 Brace yourself tote bag lover because we have been elevating it to another level of creativity. 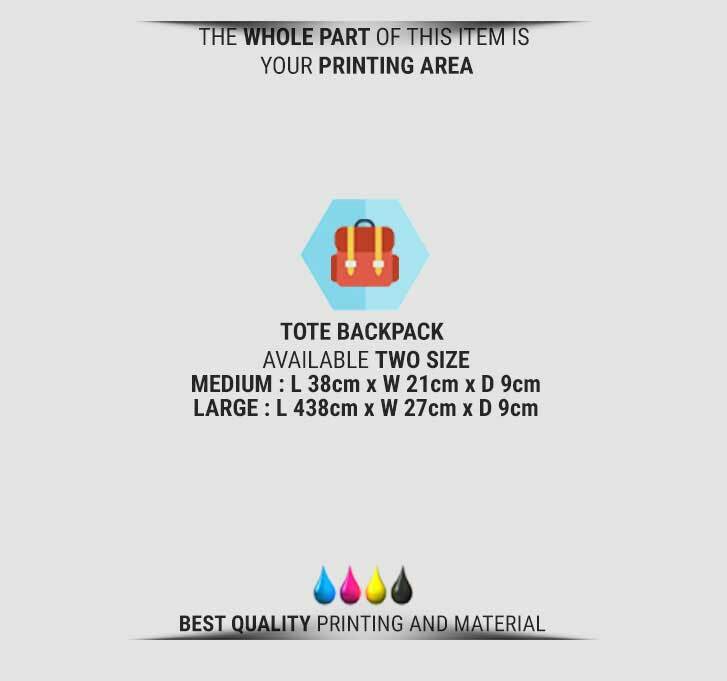 We proudly present Tote Backpack. 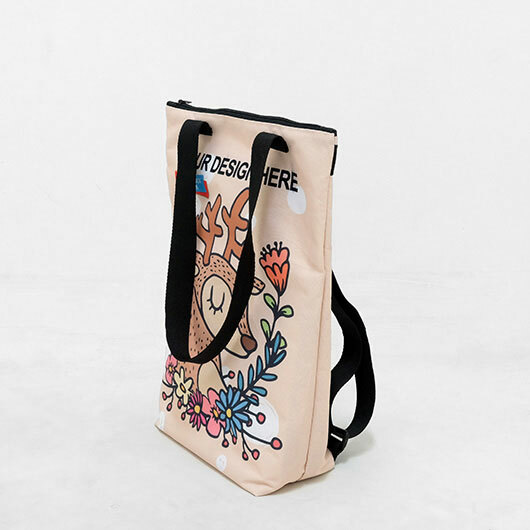 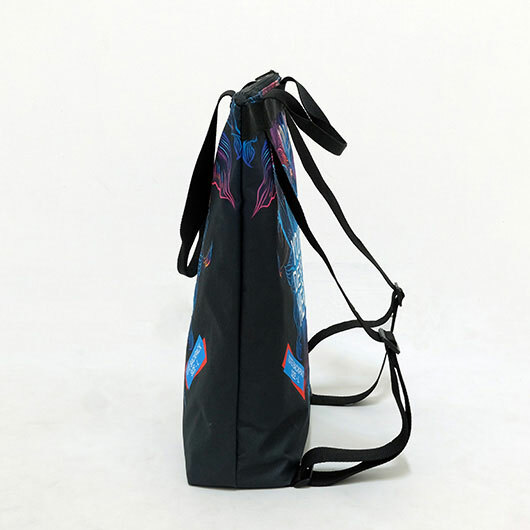 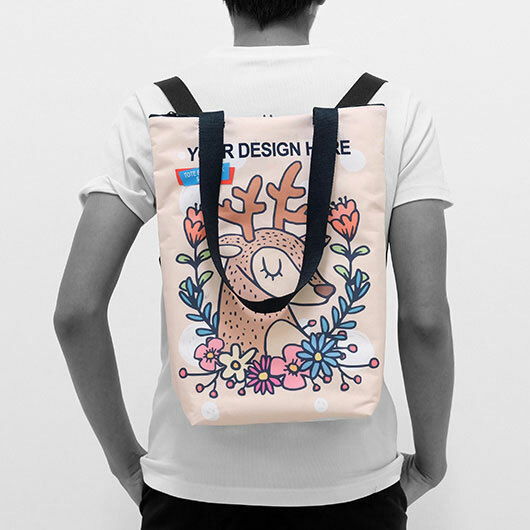 It is a convertible tote bag that can be turned into a backpack. 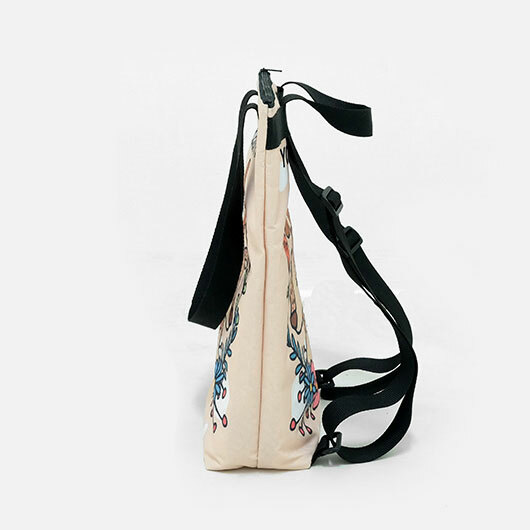 Hold the two high-quality slings for having a tote bag and pull up one sling to have a backpack. 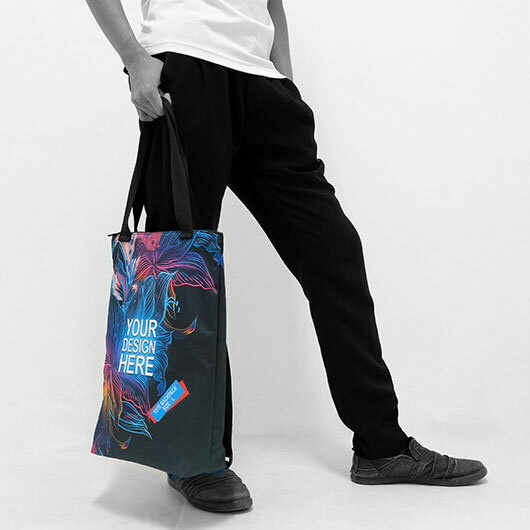 Both ways are able to carry the casual vibe when it is used. 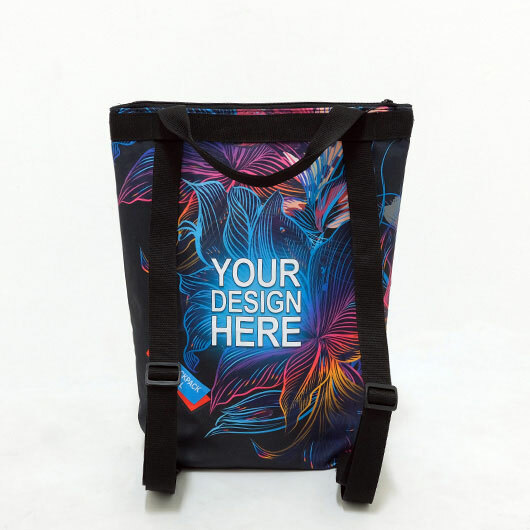 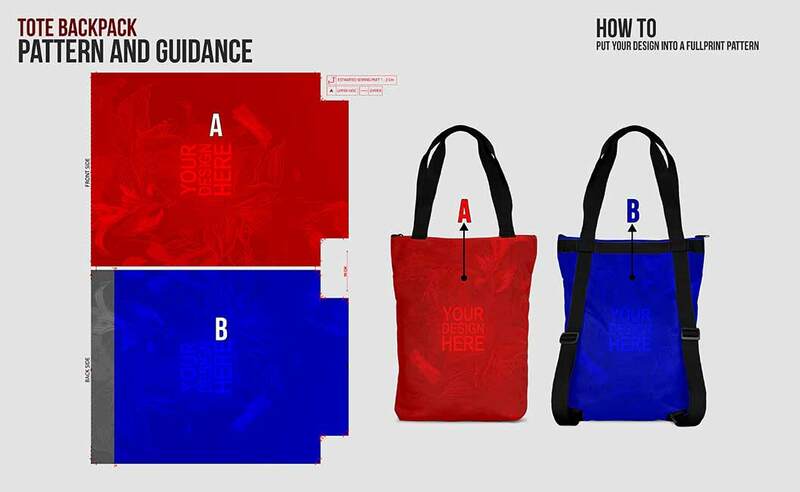 The tote backpacks we produce are available with two material choices: Polycanvas and Collatex. 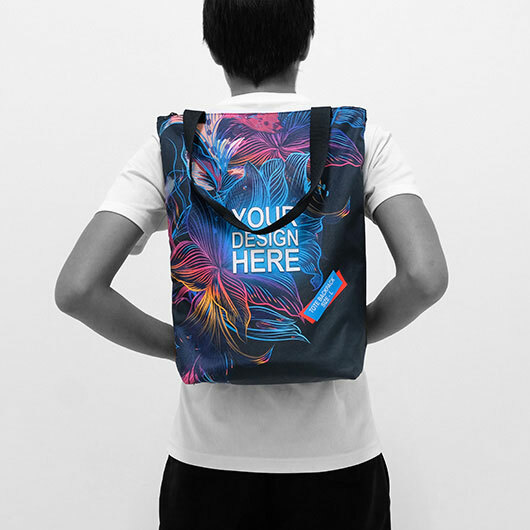 Polycanvas is a mix of polyester and cotton with a rough texture, doff colour printing, thick fibre, strong, and falls nicely. 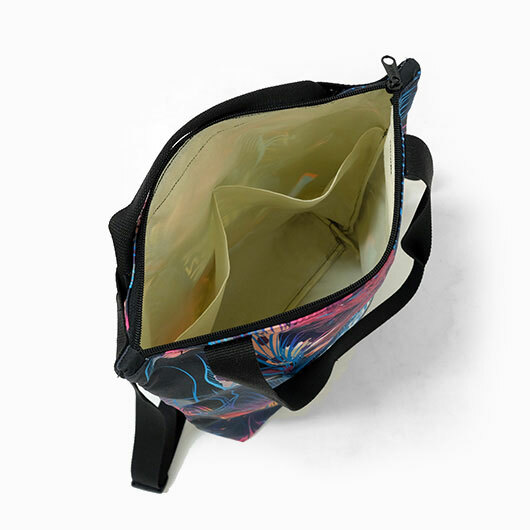 Collatex is thick, fibrous, and shiny Polyester with strong resistance. 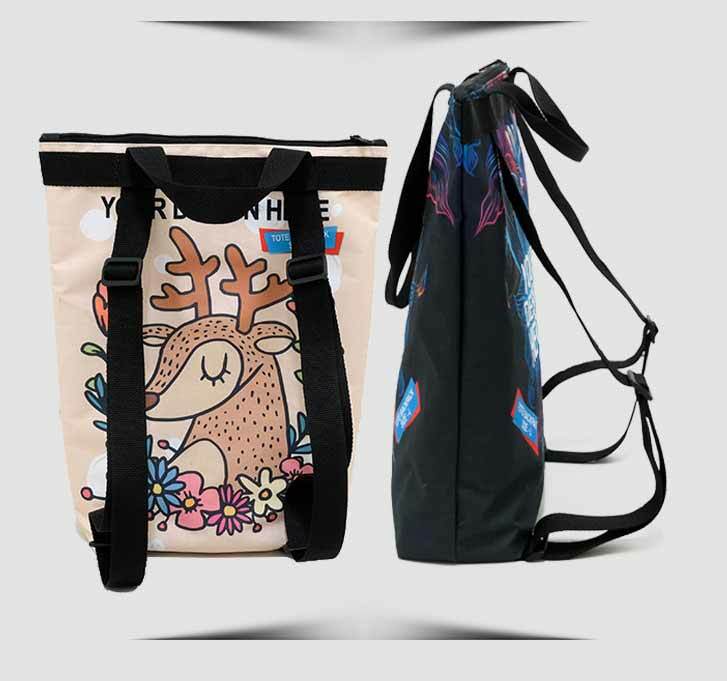 Both are great for creating bag item such as tote backpack. 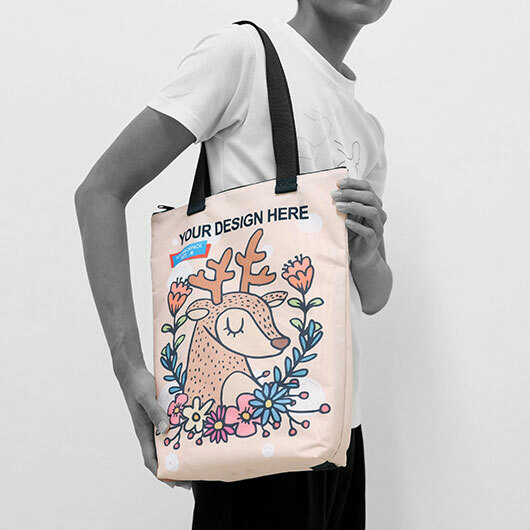 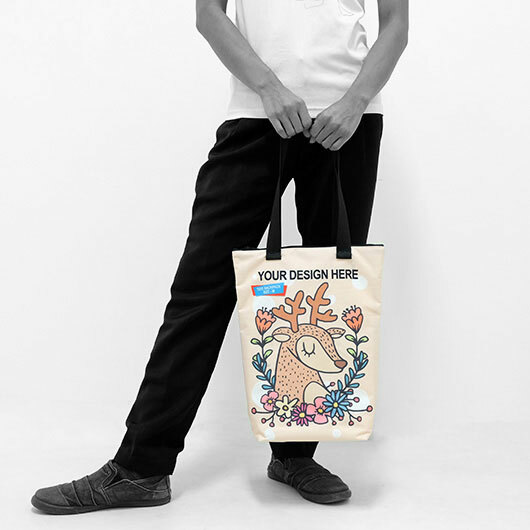 Available in two sizes: M (38 cm x Width 21 cm X 9 cm) and L (43 cm x 27 cm X 9 cm), this zippered tote bag are ready to be your printing media. 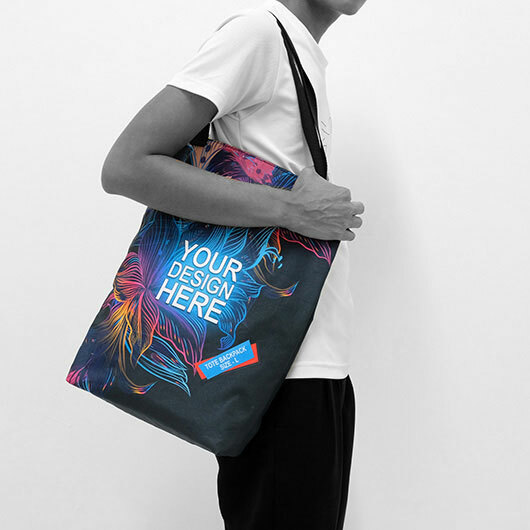 Simply upload your designs and get them printed in such a fast process as we are supported by the latest advanced technology and experienced expert! 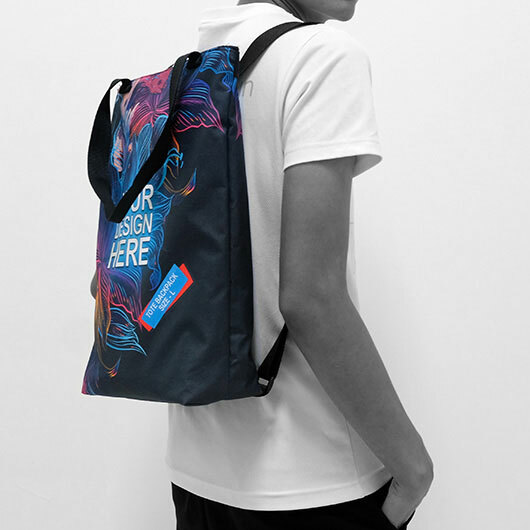 Order your own design tote backpack now!